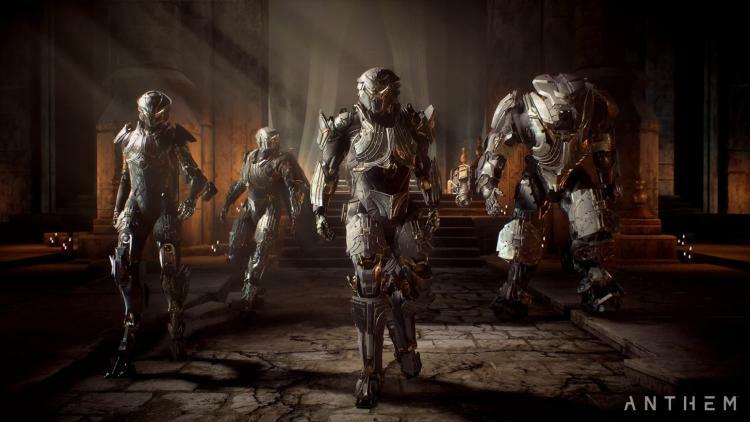 Anthem, an upcoming 3rd-person shared open world action-adventure videogame with RPG elements that's currently in the very able hands of Bioware, looks set to be one of the biggest releases of 2019. Despite all the PR hype however, EA still need organic grassroots enthusiasm to push the sales and launch population has high as possible. With that in mind, they're going down the tried and tested route of demo experiences, available pre-launch, and eventually to whoever wants to participate. First up at the end of January will be the VIP Demo. As the name implies there is a certain amount of exclusivity involved: it's open only to EA Access or Origin Access subscribers, or those who have pre-ordered the game. The demo period will run from January 25th to the 27th, during which you'll be able to play through a curated section of the game starting at level 10. From February 1st to the 3rd the Open Beta will be available to all-comers, without the need to pre-order the game or subscribe to EA/Origin Access. Presupposing the servers are stable in the face of demand, this will be your best opportunity to try the game without laying down money ahead of time. Further details on how to access the demo program are available at https://www.ea.com/en-gb/games/anthem/anthem-demos. Anthem is set to launch on February 15th for those eligible for EA Early Access, and February 22nd otherwise. Demos and launch dates are valid across the available platforms: XBox One, Playstation 4 and Windows PC.